Creative Movement: This class is designed for 2-3 year old dancers. The class is focused on fun movement with tactile props, obstacle courses, songs, and instruments. Get ready for a fun time! This class is designed for our tiniest dancers and consists of a ballet class with fun creative movement aspects. Dancers must be 3 years old prior to enrollment. This class is a great starting point into the fascinating world of dance. Tutu Tots Combo Class: This is a combination class for children 4-6 years old. This class consists of two dance genres: tap and ballet. These classes are a great starting point to introduce the young dancer to the fascinating world of dance. Dancers must be 4 years old prior to enrollment. Ballet: Ballet serves as a backbone and foundation for many other styles of dance, as many other dance genres are based on ballet. Ballet is based on techniques that have been developed over centuries. Ballet uses music and dance to tell stories. Jazz: Jazz is a fun dance style that relies heavily on originality and improvisation. Many jazz dancers mix different styles into their dancing, incorporating their own expression. Jazz dancing often uses bold, dramatic body movements, including body isolations and contractions. Tap: Tap dancing is an exciting form of dance in which dancers wear special shoes equipped with metal taps. Tap dancers use their feet like drums to create rhythmic patterns and timely beats. Hip-Hop: Hip-hop is a dance style, usually danced to hip-hop music, that evolved from the hip-hop culture. Hip-hop includes various moves such as breaking, popping, locking and krumping, and even house dance. Dancers are encouraged to freely express themselves through this style of dance. Dancers can’t be shy in this class. Contemporary: Contemporary dance is the name for a modern concert dance genre. It is not a specific dance technique but a collection of methods developed from modern and post-modern dance and can take on many forms. Pointe: Pointe is the most advanced form of Ballet and can therefore only be taught to and performed by the more advanced dancers. The distinguishing characteristic of this style is that the dancers perform on the “box” of the shoes or on their toes. Our Pointe class includes intensive barre work, ankle strengthening work, center pirouette (turn) preparation and allegro (fast) and adagio (slow) combinations. An extensive knowledge of ballet terminology (French) is expected at this level. Acrobatics: Acrobatics is the performance of extraordinary feats of balance, agility, and motor coordination. It can be found in many of the performing arts genres. TDC offers four levels: Tumbling Tots (3-5yr. ), Level I, Level II, Level III. The acrobatics instructor places students based on skill level. 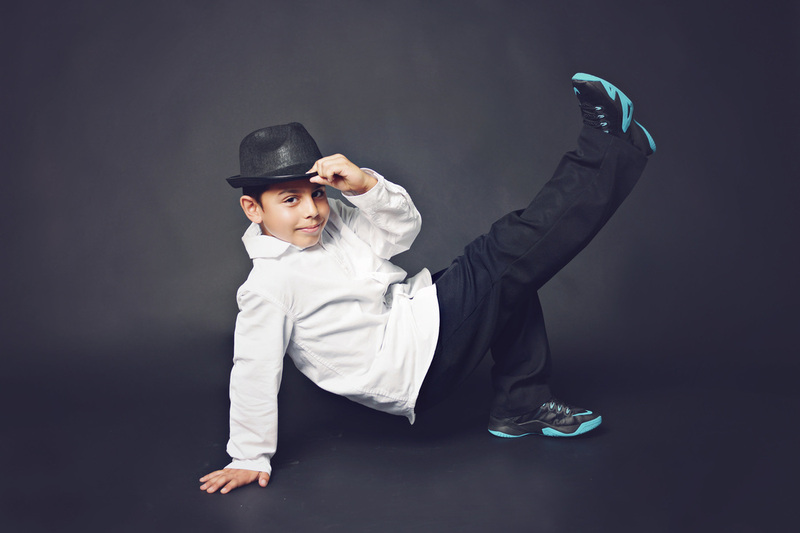 All Boys Hip Hop/Tap: While we absolutely love our girls, we have a class where it is BOYS ONLY! Why? The boys requested it! Our boys only hip hop and tap class is designed around grounded movement, a fun music selection and an overall "boy friendly" class structure. Modern: Focusing on strength, stability and agility, the class will consist of center floor exercises, traveling across the floor and building to expansive full body spatial discoveries that deepen the performers artistic knowledge and kinesthetic awareness.